I wish I could give my daughter a beautifully designed room. She would would love blue, soft baby blue and lots of working furniture. Maybe one day I can purchase for her a nice suite. But these Evgie decor would be lovely to own. Do you own any of these designs? Want to win some? Enter below! This is one of my favorite companies. You can re-decorate a room with just a few decals and completely change the look of the room. It's much easier than painting and it's gorgeous! Make plans to redo a room and order your wall decals from Evgie now so you can be ready to redecorate for the holidays! The holidays are almost upon us can you believe it? 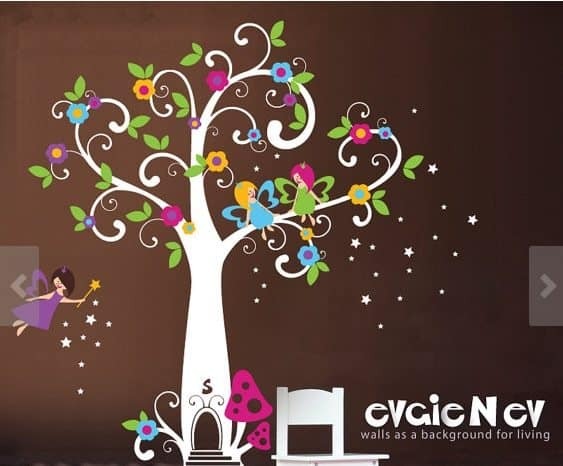 If you are looking for a great gift for someone that just bought a home, just had a baby, or simply just loves to change up the look of their home, then you are going to want to check out Evgie Wall Decals. They are easy to apply and they completely change the scene of the whole room. 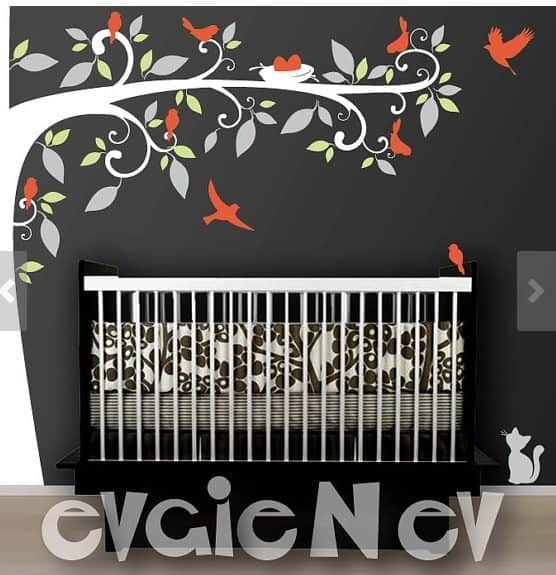 Here are my top 5 favorite wall decals from Evgie: 1.Birds Tree Nursery Wall Decal– Elegant Large Side tree wall decal is perfect to decorate and add your personal touch to any space, switch themes in child’s room. Made with high quality self-adhesive removable materials. Creates hand paint effect on your wall! Included FREE test decal. 2. Stars Wall Decals– Design your room, hallway, classroom, gym, reading corner with large bright Stars and Spaceship Wall Decals theme, constellations and cute astronauts collecting stars – 5ft growth chart! Measures: 162″w x 78″h. Comes with test decal. Removable. Just peel and stick! Free test decal is included. Elements come separately and can be install as on the picture or adjust to your wall height. We include lots of three size dots, so you can install kids favorite constellation – we suggest two: Big Dipper & Orion, see if you can spot them. 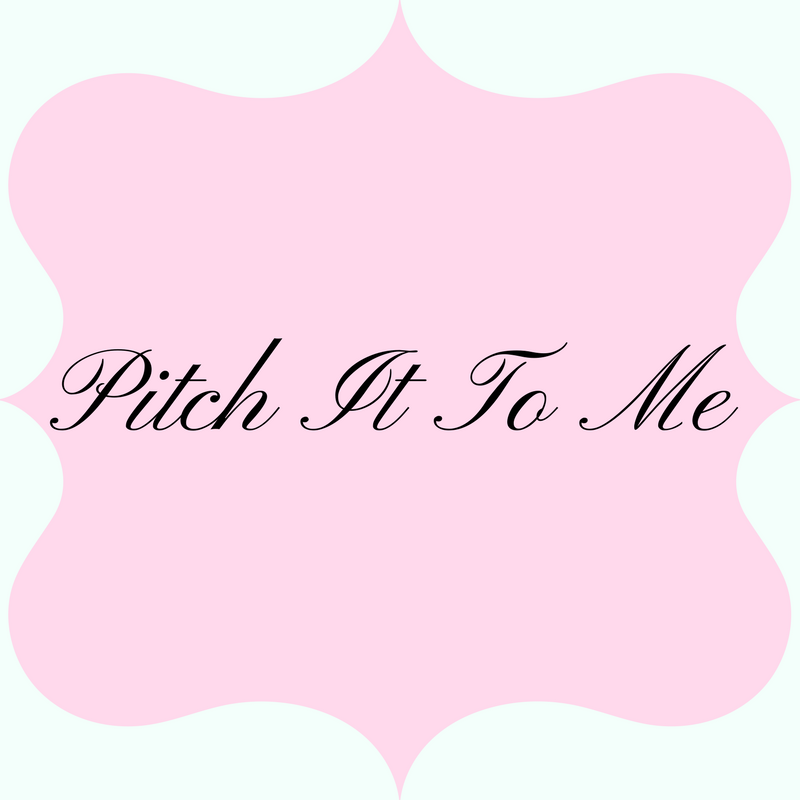 3.Fairy Wall Decals– Are you setting up nursery for your little princess? We have designed the Fairy Tree with Flowers and Stars wall decals to pair atmosphere of charm with personal illustrative touch. It is transforming the room space into magnificent scene using fairy-like beings characters. If you ever read Snow White or Peter Pan with Tinker Bell friend, or even just watched Tangled or Enchanted you would easily feel the sense of magic happening. 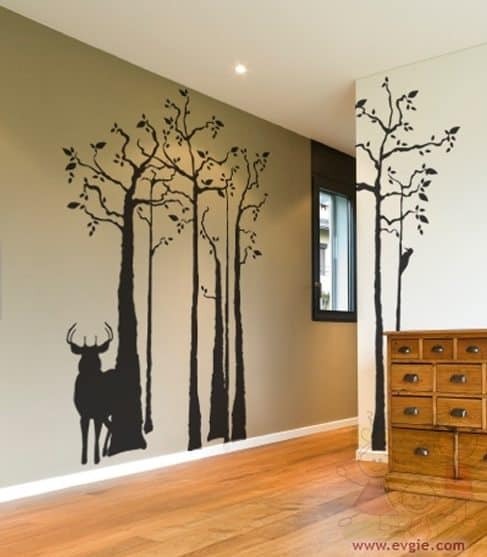 4.Deer Silhouette Wall Mural– This Removable Sticker Wild Life Silhouette is handmade using Top-Quality Matte Vinyl. Perfect to decorate and add your personal touches to room or hallway. Just peel and stick, it’s so easy! Comes with Free test decal. 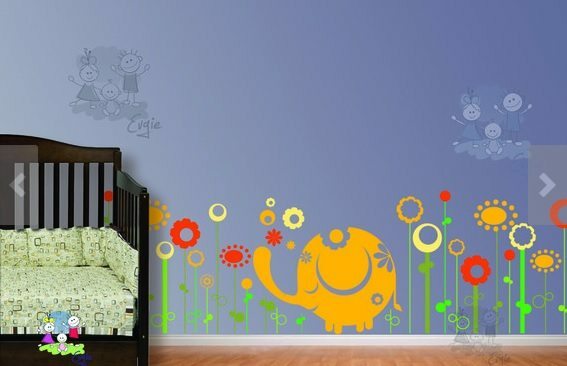 5.Nursery Wall Sticker – Baby Elephant in the Meadow– This adorable Baby Elephant surrounded by abstract flowers is made from High Quality Matte Vinyl and will look painted on the wall. Elephants are for happiness and luck. It’s cute, cuddly and charming. You will enjoy it as much as your child would, boy or girl. Just peel and stick, it’s so easy! 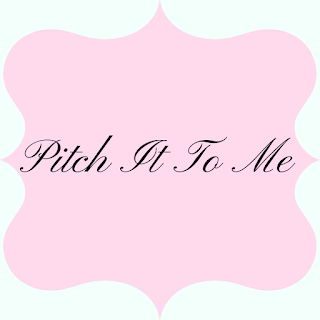 Visit Evgie on Etsy and find your favorite decal. Use the share buttons to share with your friends. It's an easy way to help small businesses gain more exposure! I know they would be so grateful! Any of these plus the dozens of more designs would make the perfect holiday gift for anyone on your list. Which one is your favorite? Enter to win $150 to spend on wall decals from Evgie! Open Worldwide (If outside the US or Canada the winner will have to pay the difference in shipping.) Giveaway dates 11/26 1201am - 12/10 1159pm EST. Enter below on the giveaway form. Good Luck!! I really like the Fishing Monkey, that is what I might buy if I win. Baby elephant in the meadow - love it!! I'd use it towards the customized children's name wall decal- birch trees with birds and birdhouses. Would look great in my daughters nursery. Hard choice, I really like several of them. 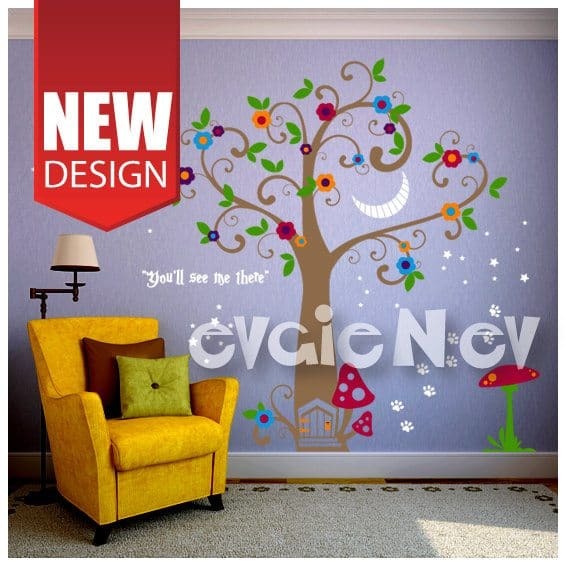 Fairy Wall Decals, Tree with Flowers and Stars Wall Sticker is one of my favs. I would choose the Outer Space decals for my sons' room! I'd buy the Forest Wall decals to decorate with. I would get the Forest Wall Decals with Birch trees for my bedroom! I really love the design of the Family Tree Wall Decal - XXL! I love the Cherry Blossom Tree decal; so pretty! The Flying Dandelion decal is my favorite. I think I would get the Forest Wall Decals - Famous Birch Trees with Birds. So lovely! I would buy the birch tree wall decals, very pretty, they are all so very cute!! 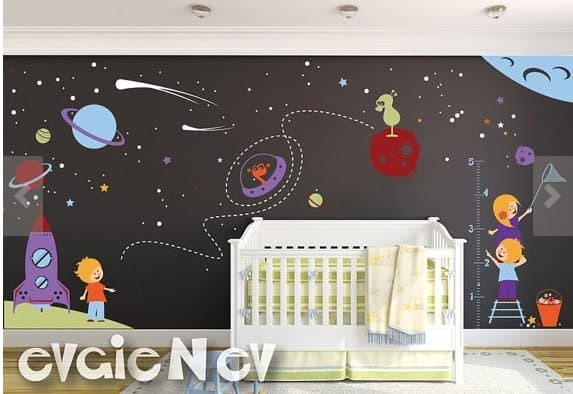 Stars Wall Decals is PERFECT for our kids space themed playroom!!! I would definitely be getting the Birch Trees & Birds wall decal! I absolutely LOVE it! I would get some birds for my mom. She loves birds! I love the family tree decal. They are all very pretty. I love the Nursery Safari. I like the Childrens Teepee Wall Decal Set.